Sail into bed knowing you’ll be hugged by comfort. 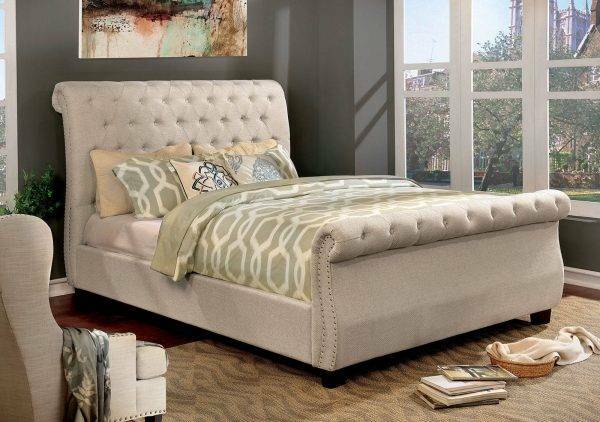 This sleigh bed features a luscious scrolling head and foot board with deep button tufting so your head and toes will be met by plush padding should you wander in your sleep. Aesthetically the combination is reminiscent of Chesterfield sofas, and a delicate nailhead trim accentuated the rolling ends that cascade into a textile of beige upholstering.